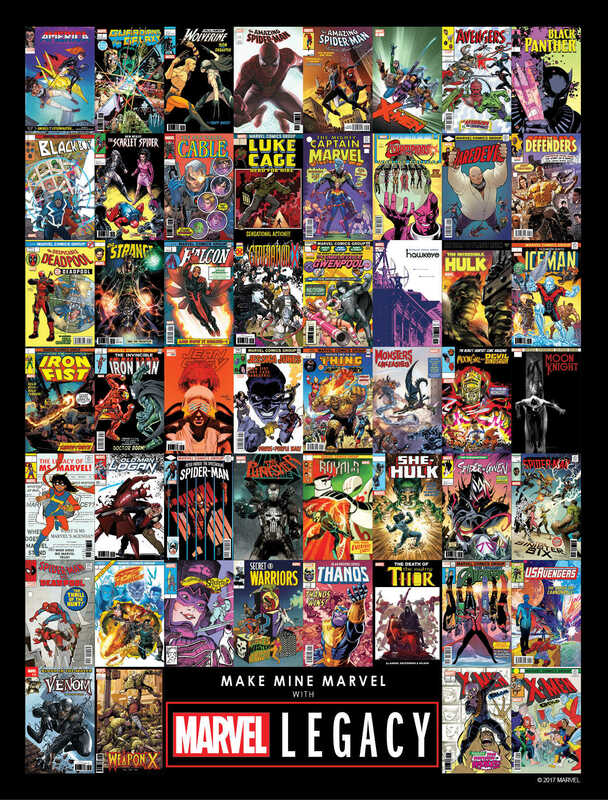 For some time now, we’ve been talking about the Marvel Legacy one-shot slated to arrive in comic shops this September and understandably so. Spanning fifty pages, this oversized issue set to be written by Jason Aaron (Mighty Thor) and illustrated by Esad Ribic (Secret Wars) should not only make for a definitive read, but will also set the tone for the next year of story arcs planned by the House of Ideas. One aspect about this standalone tale that caught our attention is that it’ll reveal the group that essentially served as the first Avengers, whom existed back in 1,000,000 B.C., to be exact. While it’s currently unknown if they’ll come across anyone resembling Raquel Welch, Marvel was willing to pass along that 53 books will spin out of this. 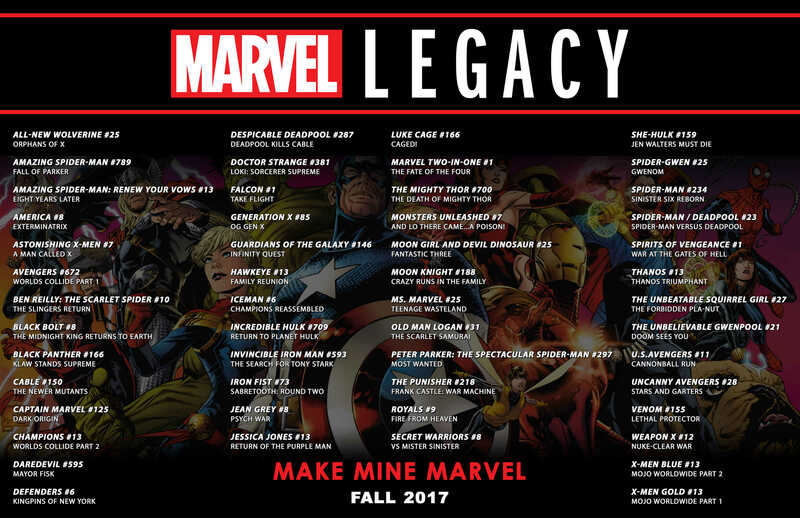 On that note, expect the “Marvel Legacy” title to be applied to the publisher’s new initiative that we’ve heard will return them to their roots and, more specifically, many of their most enduring series to their original numbering. Among these will be such fan favorites as Amazing Spider-Man, Avengers, Daredevil, Invincible Iron Man and Incredible Hulk. For the time being, plot details are being kept under wraps, but the first story arcs to be put forth by each title can be found in the gallery above. In addition to those, a slew of covers paying homage to classic pieces can also be glimpsed. Unfortunately, creative teams haven’t been divulged, with word on the street being that some have yet to be locked in. So, if that sounds like what DC promised with Rebirth, it should, because that pretty much echoed their own mission statement verbatim. All we can really do is see how it pans out and hope that we the readers can chalk it up as a win.